The answer to the question about the new iPad overheating is Yes. Because, if you logically think it, then you will get the reasons about your answer automatically. As a computer user, you should know the basic difference between desktop and laptop. In addition, you should know that the desktop computer has a great heat dissipation capability whereas laptop has a lower heat dissipation capability. Moreover, the laptop is small whereas the desktop is big in size. The heat dissipation is very much dependable on the size of the gadget. Logically, the small sized gadget will overheat quickly and the big sized gadget will heat up steadily. Therefore, in this connection, the iPad overheating is quite justified. However, the case of iPad overheating is just a little above normal heating temperature. The reasons are discussed for your clarification. Size does matter for overheating problem. In any small gadget will always have the lack of good ventilation features? So that the gadget will heat up quickly after a short period of uses. Actually, iPad is so slim that it is difficult for the gadget designer to make the ways for ample heat dissipation in the gadget. We should expect the better heat dissipation in the future iPad version from Apple. 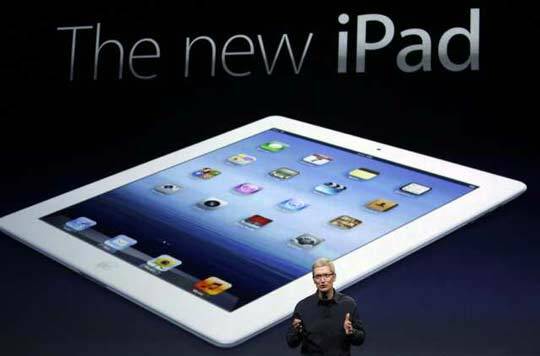 Actually, Apple introduces the latest CPU technology for this version of iPad. So, that you should not misunderstand about the quality of the CPU. Moreover, this CPU is based on Apple A5X chip architecture. Therefore, as far as performance is concerned, it works like a charm. However, the overheating problem is not solely responsible for the CPU itself but others components have the same responsibility. You should remember that if you run the CPU for a long time, then it will generate the heat and it will cause overheating. If the Wi-Fi connection is faulty in your premises, where you are going to use your iPad, then your iPad will definitely get overheating. The reason is that if the defective Wi-Fi system exists, then the iPad will automatically heat up in the short period. Therefore, it is better to use the good Wi-Fi connection or hotspot where you can access the internet for your iPad. So that there will be the least chance of overheating. Sometimes, if you run the high graphics games on your iPad for more than one hour, then you iPad will overheat quickly. It is better if you run it for the short period. So the iPad overheating problem will be minimized. And it will save your iPad's lifespan. For extra speed for any 3D game, the extra power will be needed. So, that the overheating is inevitable. If you are really a game freak, then it is better to try it on any desktop computer. If you use the power adapter to run your iPad, then your iPad will run faster but it will increase the chance of overheating. Again, if you use a battery to operate your iPad, then it will have less chance of overheating due to the limitation of the battery specification. Therefore, the habit of your iPad use will determine how much it will develop an overheating problem. However, in general you should use your iPad in a wise manner so that the overheating problem can be minimized in quick succession. About the author: Claudia is a blogger by profession. She loves writing on environment and technology. Beside this she is fond of books. These days she is busy in writing an article on bornrich.